Selworthy Beacon and North Hill are the main objectives of this walk from Bossington, Somerset. 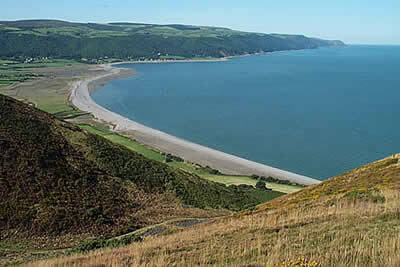 The route offers a variety of Exmoor scenery with coastal hills, views of high moors and the interesting village of Selworthy. A GPX File is available for download (see walk description). Map of part of the southern section of the 630 mile (1014km) South West Coast Path National Trail. Covers the trail from St Ives to Plymouth along the west Cornwall and Devon coastline. This convenient and compact booklet of Ordnance Survey 1:25,000 maps shows the route, providing all of the mapping you need to walk the trail in either direction.